Looking forward to reading the new biography of Roger Ailes, the driving force behind Fox News, by Gabriel Sherman. It sounds like this is the one worth waiting for, rather than the earlier version published last year by Zev Chafets, which had Ailes’ cooperation (which can only mean one thing). Sherman, a contributing editor at New York mag (and Newton, Mass. native), has been working on this book for years, and he certainly has the journalistic credentials to pull it off. As if that were a shocking ambition for a news executive. The same could have been said of Benjamin Bache at the Philadelphia Aurora in the election of 1796 or of Henry Raymond of the The New-York Daily Times (as it was originally known) in 1856 or William Randolph Hearst every year from 1896 to his death in 1951. American publishers and broadcasters have usually seen themselves as king-makers (it not candidates, a la Hearst). It appears to be one of the major appeals of the job. 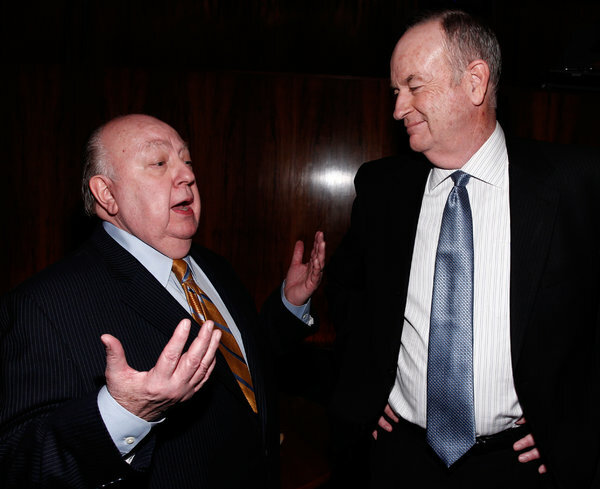 Last year, lawyers from Fox News met with lawyers from Random House to discuss Mr. Sherman’s book. Fox requested the meeting because it had heard about allegations that might be in the book that it said were inaccurate, and to emphasize that the book had not been fact-checked by Fox News. Well, why would the book be “fact-checked by Fox News”? It should be fact-checked by its own publisher, Random House, not the subject. Isn’t that the essence of editorial responsibility? Sheesh.